Another news aggregator? How many more do we need? Well, a news junkie definitely wouldn’t be asking this question. 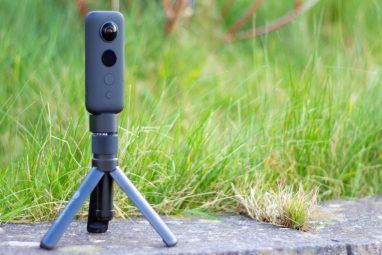 For him (or her) another news gathering tool is another for the quiver. News360 calls itself a ‘next generation news aggregation and personalization service’. It is basically tailored for the mobile web. In fact, it has apps which cover the iPhone, iPad, Windoes Phone 7, Playbook, Android, and the web. I will be focusing on the web version. Maybe, you readers can chip in with your comments for any of the aforementioned mobile platforms. Maybe like me you too wonder how do all these news aggregators How Do You Choose The Best Political News Aggregator? How Do You Choose The Best Political News Aggregator? The events of the political world can have a huge impact on your personal life. You need to make use of a reliable and robust political news aggregator – but how do you choose the... Read More survive and flourish in the crowd of news apps. It all boils down to the aggregation mechanism and how does it rank news where every second one is ‘breaking news’. Of course, looks matter too. That’s where we start. No pretty newscaster, but a visually appealing design is what strikes you about News360. It however does not take anything away from the function as a scroll down tells you all that’s happening around the world. You don’t have to squint to read the massive flood of headlines from the original news sources. The lineup of Top News is where your eyes fall first. Next, you can take a glance on the left and filter through the news by clicking on the categories. If you like to get different views on a news item, you can click on the source (like, Associated Press) and get a tabbed display with all major networks covering the news. The image slideshow on top enhances your reading experience. A Read Original link takes you to the source page. Without going into the gobbledegook of semantic analysis and natural language processing, let’s just say News360 tailors the news for you. The news gathering engine goes real-time through 700,000+ different companies, people, brands and locations, and sieves the news into clusters. If you connect your social profiles (Facebook, Twitter, Google Reader, and even Evernote), then News360 analyses them, and personalizes the news according to your tastes. You can skip that and do a manual customization yourself. The main goal of News360 is to give you different angles to news from different sources. You can avoid the slants and read news in depth without a major news mouth influencing you. That helps add a touch of credibility to our lopsided times. News360 can be setup as your personal news feed by adding new categories. The new categories get loaded in your My Interests panel. You can select from the pre-defined categories. You can also use the search bar to pick up any available sources on a specific topic. For instance, you can search for your city and pick out sources which address city specific issues. News360 searches by keyword or picks up the news feed depending on your interest. News360 lets you sync your personal news preferences across all your devices. It also makes it easy to share interesting news topics with friends. News360 is your own personal news portal. It does not offer the selectivity of a feed reader, but it does a capable job of grabbing relevant news for you in real time from multiple sources and also personalizing it for you using your social profiles. 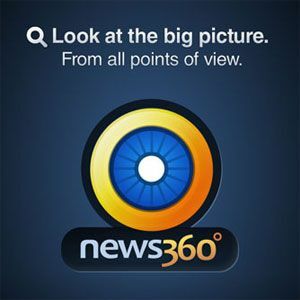 Do you think that News360 is a smart app that throws a lifebuoy when you are drowning in news? Let us know.